An insider with knowledge of the situation told TheWrap that the possible return of Dr. Frasier Crane is in the very early stages. “Kelsey potentially wants to revive the project hence he is taking meetings with various writers,” the insider said, before cautioning that there’s not even discussions with CBS TV Studios at this point. CBS TV Studios declined to comment. Reps for Grammer did not immediately return TheWrap’s request for comment. Per Deadline, which first reported the news, the potential reboot would be different from other revivals “Will & Grace,” “Roseanne” and “Murphy Brown,” in that it wouldn’t simply be a continuation of the same story. It would see Grammer’s talk radio psychiatrist relocate to another city (something the character already has done before). The show was produced by Grammer’s Grammnet Prods. and Paramount Network Television, CBS TV Studios’ predecessor. 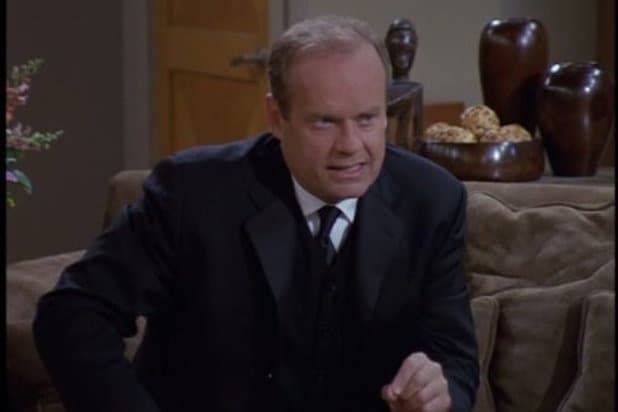 “Frasier” aired on NBC for 11 seasons from 1993-2004 as part of NBC’s “Must See Thursday” comedy block. It was itself a spinoff of “Cheers,” which saw Dr. Frasier Crane move from Boston to Seattle. Grammer has played the character for 20 years between the two shows. Due to CBS’ ownership of the sitcom, any comeback could see the show switch broadcast networks.